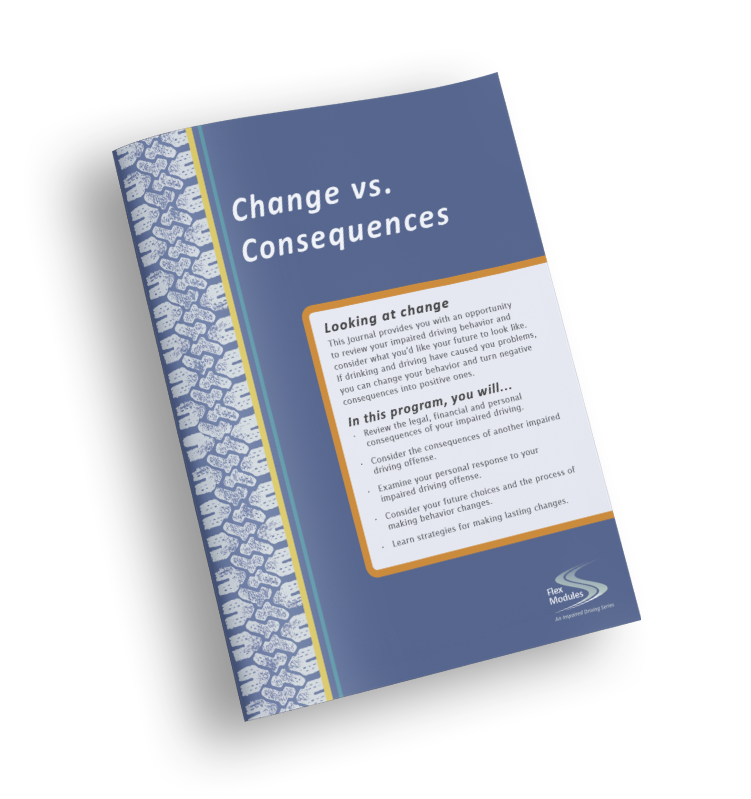 The Flex Modules Series from The Change Companies® is a cost-effective and flexible solution for impaired driving programs that can be delivered in a modular format to best fit the unique needs of your organization and participants. The modules can be used for a range of impaired driving programming, including first- and multiple-offender programs. 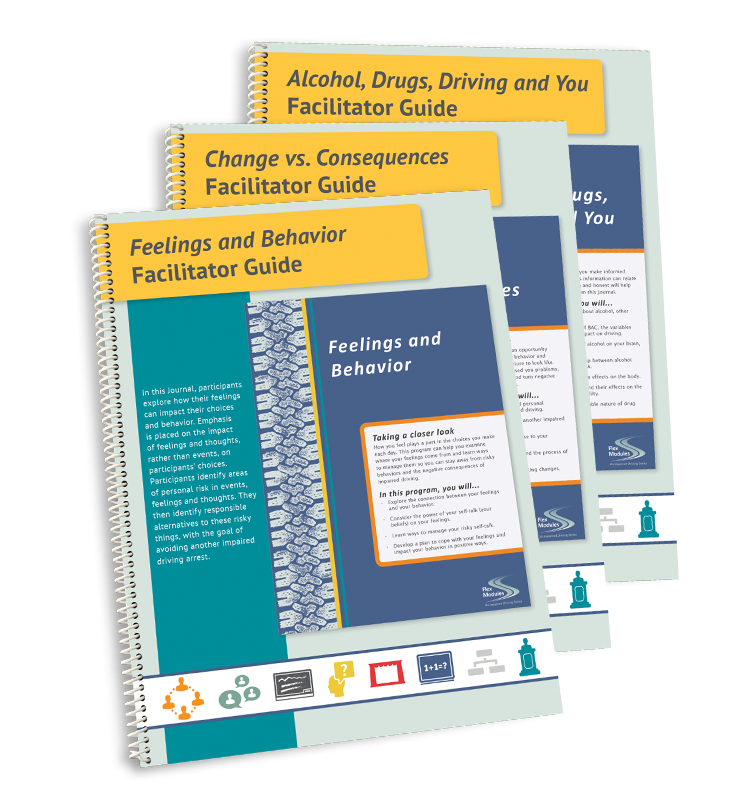 All of the Flex Modules resources can be used with Level I or II education interventions or as components of substance use treatment for impaired driving offenders. The Journals encourage responsible decision making and reduce recidivism by assisting participants in making positive changes to their impaired driving behavior. To support effective facilitation, each Journal has a Facilitator Guide that provides foundational knowledge, facilitation strategies and other tips alongside miniature Journal page images. The Change Companies® can create a custom Interactive Journal that meets the specific needs of your organization and clients. As with our other products, customized Journals use the highest quality print and digital production process, and include your name, your logo, your colors and your unique message.